A boy reading the Koran (Quran). Expectations that the world is soon to end are rife throughout the contemporary Muslim world. Because so many Muslims today face such a dismal situation, the religious climate is primed with anticipation and popular longings for the appearance of the Mahdi, or the Muslim messiah. Books, pamphlets, and internet chat rooms are replete with stories of the Mahdi and speculation about the coming time when he will finally appear to usher in the messianic state and sweep away the modern world’s suffering and injustice. The popular belief in the coming appearance of the Mahdi is deeply rooted in both Sunni and Shiite Islamic traditions. Sunni Islam traditionally associates the Mahdi either with an official descendent of the Prophet Muhammad’s family (or a dynasty claiming such descent), or alternatively, with a self-appointed claimant who believes that he is the best and purest of all possible Muslims in a given era. This latter messianic tendency, which reflects the essential egalitarianism of certain streams of Islam, allows for even non-Arabs to claim that they are the Mahdi. And indeed, a great many have: In the recent past, claimants have arisen in countries as diverse as Senegal, Gambia, Nigeria, Saudi Arabia, and Pakistan. In our times, Mullah Omar, the leader of the Taliban in Afghanistan (1996-2001), has also assumed messianic titles. Some Muslims have even wondered whether Osama bin Laden is the Mahdi, although he has made no such claim. Messianic upheaval in contemporary Islam has its roots in the social and political turbulence that swept across the Muslim world in 1978-79. Significantly, those years corresponded with the Islamic year 1400, or the dawn of a new century. In many Islamic traditions, the start of a new century is seen as a time when a widespread renewal of religion should take place; moreover, it is seen as a time when the Mahdi should appear. In the words of one Hadith, “God will send to this community [the Islamic Umma] at the beginning of every century someone who will renew its religion.” The existence of these traditions and the fact that many still fervently believe in them helps to explain the widespread upheaval in the Muslim world almost thirty years ago. In 1979, Juhayman al-Utaybi, a Saudi militant, took over the Holy Mosque in Mecca and proclaimed his companion to be either the Mahdi or the Qahtani (another messianic claimant). In that year, there was a major messianic upheaval in northern Nigeria in the form of the Maitatsine movement, which is still a problem today, as well as Mahdi claimants in Pakistan and other countries. All of this unrest occurred against the backdrop of the Soviet invasion and occupation of Afghanistan, which provided the burgeoning radical Islamic movement with a rallying point and opportunity to coalesce around a common jihad. The jihad movement was eventually triumphant over the Soviet Union, and this victory only further fueled international jihadism’s growth-eventually spawning al-Qaeda and other groups. Yet among all of the events that took place in the late 1970s, the Islamic Revolution in Iran stands out as the most notable, as well as the most consequential for contemporary messianism. Led by the Ayatollah Ruhollah Khomeini, a disparate group of Shiite Islamists, left-wing secularists, and religious conservatives overthrew a staunch American ally, the Shah of Iran. It is commonly believed that the Iranian revolution itself was an apocalyptic occurrence, happening as it did in the year 1400 hijri, and Khomeini skillfully used messianic passions to mobilize ordinary Iranians against the Shah. He framed the revolution, for example, as a struggle against the satanic forces of Yazid (the Shah) by the righteous forces of al-Husayn (the Iranian revolutionaries). He thus recreated in the minds of many the Battle of Karbala as it should have been (with the righteous side winning this time) at the end of the world-a messianic trope from the classical materials. Although Khomeini was careful never to explicitly identify himself as the Twelfth Imam, he did claim for himself unique honorifics (such as “Imam Khomeini”) that alluded to the Twelfth Imam, and his followers actively used messianic language and symbols to cultivate a personality cult around the revolutionary leader. While Khomeini used messianism for political ends throughout his rule, his successors, the wheeler-dealer Akbar Hashemi Rafsanjani (1989-1997) and the pragmatic Mohammed Khatami (1997-2005), did not and allowed the political mahdism of the revolutionary era to wither away. However, after Mahmoud Ahmadinejad’s rise to power in 2005, messianism underwent a broad-based renewal in the Iranian public sphere that has also spread across the Shiite world. Within Twelver or Imami Shiism, the dominant stream of Shiism, the beliefs in the coming of the messiah focus entirely upon the figure of the Twelfth Imam, Muhammad al-Mahdi, who tradition claims disappeared and went into occultation in 873 CE.According to the conventional accounts, the reason for the Twelfth Imam’s occultation was self-protection. Both the Sunni and Shiite traditions contain a substantial amount of material about the Mahdi (although the traditions treat the messiah differently), and both traditions elaborate in great detail upon the timeline and future events that will herald his appearance. This timeline includes the various portents of the end of the world-a series of events of profound political, economic, religious, or cosmological significance that will make humankind aware that the world’s end is near and compel them to prepare for the Mahdi’s return. Naturally, these messianic traditions have become grist for the mill of radical preachers, who use messianic language to interpret current events in an apocalyptic fashion and thereby compel their followers to take radical action in preparation for the end of days. In the Shiite tradition, the Mahdi figure is ultimately the final in a chain of twelve imams who are all, with the exception of Ali b. Abi Talib (the son-in-law and fourth successor to the Prophet Muhammad), descendents of Muhammad. These Shiite imams differ from those found in Sunni Islam in that they are believed to possess exclusive knowledge of the past and future, have access to interpretations of the Quran to which no one else is privy, and constitute something of a continuation of the prophetic experience of Muhammad in that they have a unique connection with God. Consequently, according to Shiites, these imams alone have the legitimate right to rule the Muslim community. Prophecies associated with these imams are considered authoritative and are included in most Shiite collections of the Hadith. In Shiism, the Twelfth Imam or Mahdi is considered to be present in this world, although he is not in immediate contact with humanity and will remain hidden until his final return. First among the major omens connected with the belief in the Mahdi’s imminent return is the appearance of his apocalyptic opponent, the Sufyani. Mainstream tradition tells that the Sufyani will be a tyrannical Arab Muslim ruler who will hail from the region of Syria and who will brutally oppress the Shiite peoples. Before the 2003 collapse of the Saddam Hussein regime in Iraq, many messianic writers in both the Sunni and Shiite traditions identified Saddam Hussein as the Sufyani. Since 2004, however, there has been a tendency to gloss over the classical belief in the Sufyani’s Syrian-Muslim identity and to identify him instead with the United States (as many Iraqis hold the U.S. responsible for the slaughters in their country.) Another recent trend within Shiite messianism has been to identify the Sufyani with prominent Sunni radicals such as Abu Musab al-Zarqawi (killed June 2006), who was virulently anti-Shiite. From the perspective of the classical sources, Zarqawi would have indeed been an excellent candidate, because his hometown in Jordan is extremely close to where the Sufyani is supposed to come from. Classical messianic literature says that the Sufyani’s appearance will occur either together with or in close connection to Byzantine (al-Rum) invasions of the Muslim world, as the Byzantines are expected to conquer the northern areas of Syria and Iraq. It is widely accepted that U.S. invasion of Iraq in 2003 fulfilled these predictions, and both Sunni and Shiite radicals routinely play upon these popular beliefs as part of their propaganda efforts to stir-up hostility toward American forces. The Muslim world, according to the predictions, will be attacked on all sides. At this particular junction, the classical sources say the Mahdi will appear, either in the region of Mecca and Medina (associated with the time of the hajj pilgrimage) or in the region of Khorasan (eastern Iran and Afghanistan). Alternative places associated with the Mahdi are his future capital of Kufa (in southern Iraq) and the messianic pilgrimage site of Jamkaran (near Qom in Iran), where he is traditionally believed to be located or at least accessible. In the popular Shiite view, the Mahdi is a vengeful figure who will first take vengeance upon those Sunni Muslims who have opposed the rights of the family of the Prophet Muhammad to rule and who will then establish a messianic state that will encompass the world. The classical sources are unclear about whether or not the Mahdi will convert humankind to Islam. What the sources do make clear is that the Mahdi will be especially ruthless toward existing Islamic religious establishments: he will destroy mosques because they have become over-adorned and not true places of worship, and he will kill the ulama, or religious scholars, because they have failed to establish a just and properly Islamic order. In every way, the appearance of the Mahdi will cause a sharp and total break with existing Islamic norms. The popular attraction and appeal of messianic teachings is doubtlessly connected to the belief that the Mahdi’s return will usher in revolutionary social and political change. One of the core Hadith concerning the Mahdi and recognized by both Sunni and Shiite authors claims that he “will fill the earth with justice and righteousness just as it has been filled with injustice and unrighteousness.” The foundation of this messianic state and the establishment of worldly justice is one reason why people hope for the Mahdi’s coming. Because Shiites generally see themselves as the mustadafin fi al-ard (the downtrodden of the earth, cf. Quran 8:26) and have a long history of persecution at the hands of Sunnis, the longing for total revolution and the messianic state within Shiism in particular has often been quite intense. This fact is evident in the highly personal literature and letters dedicated to the Mahdi that may be found in contemporary Iran and Lebanon, as well as in Shiite communities worldwide. The Dajjal, or the Antichrist, is another key figure in Muslim apocalyptic literature. Since the Dajjal is said to be a Jew, contemporary Sunni writers often use this figure to inject anti-Semitic conspiracy thinking into mainstream apocalyptic writings. The Dajjal was virtually absent in traditional Shiite writings, although nowadays the figure is gaining more and more prominence in contemporary Shiite apocalyptic materials. Classically, the stories concerning the figure of the Mahdi and his opponent the Sufyani were much more important among Shiites. However, the fact that the Sufyani does not represent an absolute demonic evil in the same way that the Dajjal does has probably created a need among contemporary Shiite radicals to re-focus Shiite apocalyptic discourse upon the latter. Indeed, Dajjal stories have become loci for demonizing the West as a whole, which is routinely portrayed as the embodiment of the Antichrist. Furthermore, anti-Semitic references to the Dajjal regularly appear today in Shiite apocalyptic literature; only a few years ago such references were nonexistent. Historically, it was not in the interests of the Shiite religious leadership, or the hawza, to encourage apocalyptic expectations. The religious authorities instead sought to manage popular mahdism by focusing messianic attentions toward the distant future rather than upon the immediate future. A strong and influential religious leadership could accomplish this, because traditionally the return of the Mahdi was never associated with any actual dates. Speculation about the Mahdi’s return, when it did arise, was quickly diverted by the hawza onto more practical matters, including personal spiritual renewal or the improvement of society. However, when the authority of the hawza was weakened, popular messianic longings often resurfaced. This occurred during the beginnings of the Babi or Bahai movement in the 1840s. Nowadays, apocalyptic beliefs within the Shiite world are undergoing enormous changes and revival. Messianism is slipping free of the control of the religious establishment, and it is increasingly used by lay preachers to interpret current events and to compel their followers to take action-often according to a radical agenda. In significant ways, these changes within Shiite messianism have mimicked similar patterns of change that have occurred within Sunni Islam and among some Christian evangelical movements in the contemporary era. These changes have had important ramifications for Shiite social and political life. In the period before the Muslim messiah’s ultimate return and the end of days, Islamic messianic traditions hold that the Mahdi’s influence is manifest in various ways within the physical world. This perception of the Mahdi’s influence in the world has been a constant feature of the Shiite religious landscape ever since his greater occultation in 941 CE. That event led to the growth of vast and often deeply personal literature concerning revelations, dreams, healings, visions, and other occurrences all attributed to the Mahdi’s personal intervention. Today, the three largest Shiite populations of Iran, Iraq and Lebanon are experiencing a dramatic transformation in the nature and scope of messianic expectation. In the past, these societies often passively accepted the teachings of religious authorities about the Mahdi, which tended to be conservative and exercised restraint over popular messianic hopes and longings. However, because of the breakdown of traditional religious authorities and the related rise of rogue and more radical clerics, there is today growing anticipation among the wider public that the Mahdi’s return is imminent. This has led to the rapid spread of now widely-available literature about predictions and prophecies concerning the messiah and his imminent appearance. These writings describe the Mahdi’s coming in great detail, including the manner in which he will overturn the modern order and establish the just state, the time and place in which he will appear, and the methods by which he will take vengeance upon his enemies. While Shiite Islam has always possessed an elaborate literature concerning the Mahdi, never before has this literature been as copious, publicly available, detailed, or socially explosive (in terms of its stress on the imminence of the Mahdi’s return) as it is today. Of course, the appeal of militant mahdism is not confined to Lebanon’s Hezbollah exclusively. In contemporary Iraq, there is even more opportunity for radical Shiite elements of the Mahdist movement to express themselves-far greater, in fact, than there is in neighboring Iran. This is a consequence of both the Iranian regime’s control over religion and also of the general breakdown in social order in Iraq since the fall of the Saddam regime. Many Iraqis harbor deep suspicions of U.S. intentions in their country, and there are frequent assertions in the apocalyptic literature produced in Iraq that state that the purpose of the U.S.-led invasion was to initiate an apocalyptic war-in this case, to find the Mahdi and to kill him. Members of Muqtada al-Sadr’s Mahdi Army likely also share this view, believing that their mission is either literally to defend the Mahdi from American forces or figuratively to defend the Shiite community. Even more extremist mahdist tendencies in Iraq have appeared in the form of movements like the Soldiers of Heaven, which was exposed in January 2007. Although a great deal is still unclear about this group’s origins and make-up, it was an ecumenical apocalyptic group that adhered to the idea that Iraq’s ulama were the source of all of the country’s problems and that they must be killed. Although it is possible to find beliefs that oblige violence against religious scholars in apocalyptic literature, there are no other messianic groups in Islamic history that actually attempted to carry them out. The figure behind the Soldiers of Heaven revolt was a charismatic leader named Ahmad al-Hassani. Hasani had taken for himself the title of al-Yamani, a minor forerunning messianic figure said to oppose the Sufyani in battle. His group numbered several thousands, spanned the Shiite-Sunni divide, and preached the destruction of the religious elite. Although a joint U.S.-Iraqi operation suppressed the Soldiers of Heaven in a January, 2007 battle that left hundreds dead, their doctrines raise interesting questions concerning the direction that such apocalyptic beliefs could take in the future. The ability of the Soliders of Heaven to bridge the sectarian gap was striking-especially in a country as divided as Iraq. While many analysts have noted how ideological differences often present difficulties for radical Shiites and Sunnis to work together, belief in the apocalypse is one thing they share and could thus plausibly provide grounds for a common agenda in the future. Meanwhile, in the Islamic Republic of Iran, the primary focus of popular messianic expectations is the shrine at Jamkaran (located a short distance away from Qom), where the Mahdi is said to dwell. With the strong backing of President Ahmadinejad, the Jamkaran mosque has been undergoing a complete renovation and expansion in recent times. Additionally, the mosque has been printing an enormous volume of publications concerning the Mahdi and apocalyptic events. The ubiquity and tenor of these publications helps to illuminate the profound transformation of messianic expectation within Iran in recent years. This transformation has moved popular expectation away from the future-oriented, more speculative range of traditional, narrative forms of messianism (hitherto the most common content of apocalyptic Shiite materials) and into a more imminent and practical focus that permits much greater exegetical latitude. Thus, instead of merely relating to tradition and classical sources, contemporary messianic exegesis seeks to relate to current world events (in some respects, this is similar to the contemporary Biblical messianism of evangelical preacher Hal Lindsey.) These publications contain popular accounts similar to those found in classical sources of personal visitations with the Mahdi during which he miraculously heals ordinary people. But they also provide religiously-charged interpretations of current events such as the Iraq War and Hezbollah’s struggle with Israel, and they speak of the Mahdi’s imminent return and the looming advent of the messianic state. The celebration of militancy and martyrdom, a key feature in the Islamic Republic’s propaganda, is also deeply connected with the Mahdi. Although Iran has not fought a major war since the devastating Iran-Iraq War (1980-88), popular histories of the war retroactively describe Mahdi appearances and interventions during that time. The books sold at Jamkaran give many examples of the Mahdi personally intervening as the initiator of martyrdom attacks during the Iran-Iraq War. Because both religious radicals and more secular nationalists strongly supported the war and Iran’s struggle against the Saddam regime, the fact that the Mahdi is said to have played a role in the struggle is significant-it is designed to promote unity across the regime. In the contemporary era, President Ahmadinejad has aggressively promoted the cult of the Mahdi, and appealing to popular messianic longings and expectations has been a key feature of his political rule both domestically and internationally. Since the close of the revolutionary era and especially since the end of the Iran-Iraq War in 1988, Iran’s leaders have generally tended to behave more pragmatically. For most of the late 1980s and the whole of the 1990s, the language of worldwide Islamic revolution was reduced to a minimum, and the legacy of Khomeini, who clearly sought to bring revolution to the whole Muslim world, was ignored. That changed with Ahmadinejad’s election in the summer of 2005, which either resulted from or catalyzed the apocalyptic upheaval in the Shiite world. Most probably this upheaval was brought about by a number of factors, including the fact that after the 2003 overthrow of the Saddam regime the Shiite holy places of Iraq were once again returned to Shiite control and also because the Shiite presence and dawa activities have become more aggressive in recent years throughout the Muslim world (including missions in Africa, Indonesia, and elsewhere). From the beginning of time, humanity has longed for the day when justice, peace, equality and compassion envelop the world. All of us can contribute to the establishment of such a world. When that day comes, the ultimate promise of all Divine religions will be fulfilled with the emergence of a perfect human being who is heir to all prophets and pious men. He will lead the world to justice and absolute peace…O mighty Lord, I pray to you to hasten the emergence of your last repository, the promised one, that perfect and pure human being, the one that will fill this world with justice and peace. Although the phrases used in this speech are not substantially different from those voiced commonly by Iranian politicians at the U.N., the end prayer calling on the messiah to hasten his appearance is unique and illustrates the sense of immediacy that Ahmadinejad frequently seeks to convey when speaking about the Mahdi’s appearance. According to Ahmadinejad’s own account, as he made this call to the Lord he was bathed in a green light, which he took as a sign that the Mahdi himself was blessing the speech. We are all members of the international community and we are all entitled to insist on the creation of a climate of compassion, love and justice…Together, we can eradicate the roots of bitter maladies and afflictions, and instead, through the promotion of universal and lasting values such as ethics, spirituality and justice, allow our nations to taste the sweetness of a better future…Peoples, driven by their divine nature, intrinsically seek Good, Virtue, Perfection and Beauty. Relying on our peoples, we can take giant steps towards reform and pave the road for human perfection. Whether we like it or not, justice, peace and virtue will sooner or later prevail in the world with the will of Almighty God. It is imperative, and also desirable, that we too contribute to the promotion of justice and virtue. I emphatically declare that today’s world, more than ever before, longs for just and righteous people with love for all humanity; and above all longs for the perfect righteous human being and the real savior who has been promised to all peoples and who will establish justice, peace and brotherhood on the planet. These types of calls set Ahmadinejad apart not only from his immediate political predecessors but also from the Iranian religious elite who, as a matter of faith, concede that the Mahdi’s appearance is desirable but who also do not encourage these types of fervent calls. Ahmadinejad is a calculative and deliberate politician, and it would be a mistake to assume that his appeals to messianism are a sign of lunacy or a result of his religious belief exclusively. Instead, by appealing to the Mahdi, an authority higher than the clerics, Ahmadinejad hopes to negate the influence of some of his country’s religious elite and to promote a more vigorous spread of Iranian Islamist ideology throughout the Muslim world. Messianism thus permits the Iranian president an opening to accomplish his goals within an accepted Shiite framework. Messianism is an important driver of political life in the Shiite world whose power is too often underestimated and too easily misunderstood by outsiders. One obvious and legitimate source of deep concern for outsiders has been the potential combination of activist Shiite messianism and the Iranian nuclear program. But there are deeper issues as well. It has become increasingly likely that a messianic claimant will arise in the near future to send shockwaves across the Shiite world. Apocalyptic literature and other materials are currently ubiquitous in both Sunni and the Shiite societies, and belief in the Mahdi’s imminent return is now gaining wider audiences. A combination of factors-the approach of the hijri year 1500 (approximately 2076 CE), as well as the pent-up frustration, despair and sense of humiliation that is so common in the contemporary Muslim world-could also contribute to an upsurge in popular messianism. Historically, such eruptions were infrequent because of the tight grip that the Shiite religious hierarchy maintained over messianic belief. However, recent revolts-most notably the Soldiers of Heaven in Iraq, the virulently anti-ulama messianic movement-demonstrate that the influence of traditional authorities over messianism has broken down in today’s generally volatile Shiite religious landscape. Moreover, it is also possible that a Shiite messianic movement could quickly transcend the Sunni-Shiite divide in much the same way that radical Shiite groups have recently gained prestige among Sunnis (for example, Hezbollah after its various victories) and have prompted popular conversions to Shiism. Dating the appearance of the Mahdi should be a factor in the appearance of a messianic claimant. For instance, the 1000-year anniversary of the Mahdi’s occultation was a time of enormous messianic disturbance that ultimately led to the emergence of the Bahai faith (1844-50). The 1200th anniversary of the occultation will occur in approximately 2039, and given the importance of the holy number of 12 in Shiism, the twelfth century after the occultation could also become a locus of messianic aspirations. In one scenario, either a messianic claimant could appear or, more likely, one or several movements hoping to “purify” the Muslim world (or the entire world) in preparation for the Mahdi’s imminent revelation could develop. Such movements would likely be quite violent; if they took control of a state, they could conceivably ignite a regional conflict. It should be noted that most of the violence described inside the Shiite apocalyptic literature targets Sunnis or the Shiite religious establishment and not non-Muslims. However, this fact does not necessarily mean that future apocalyptic movements would confine their violence simply to these stated targets. Their ultimate goal is the establishment of a messianic state, and their reason for attacking the ulama in particular derives from their belief that the existing religious authorities are unjust and prevent the creation of a just state. In principle, any other force seen as obstructing the establishment of the messianic state could quickly become a target for violent mahdist movements. Religious belief has a major impact upon populations in politically consequential countries worldwide. We learned this, at great cost, during the Islamic Revolution in Iran and then again on September 11, 2001. Shiite messianic movements are dangerous and will probably exact a heavy toll in lives in coming years until either the violence associated with them runs its course or, more hopefully, until the movements themselves embrace a more constructive vision for a just and equitable future. Only two remain: the Hashemite Kingdom of Jordan, and the ruling Alawite family of Morocco; both have had messianic speculation associated with them. See Timothy R. Furnish, “Bin Ladin: The Man who would be Mahdi,” Middle East Quarterly Spring, 2002, at http://www.meforum.org/article/159 for a summary of the evidence for the idea that he has claimed to be the Mahdi. Abu Daud al-Sijistani, Sunan (Beirut: Dar al-Jil, 1988), iv, pp. 106-107 (no. 4291). See J. Ketchichian, “Islamic Revivalism in Saudi Arabia.” Muslim World Vol. 80 (1990), pp. 1-16. Roman Lomeier, Islamic Reform and Political Change in Northern Nigeria (Evanston, Il. : Northwestern University Press, 1997), chapter 4. There are many smaller Shiite groups, such as the Seveners (Ismailis) and many others, but they are not the focus of this paper. The period between 873 and 941 is called the Lesser Occultation, when the Mahdi was periodically in contact with the Shiite community; after 941 the Greater Occultation is characterized by a more distant Mahdi. For lists of these see Muhsin Aqil, al-Imam al-Mahdi wa-alamat zuhur ind al-Imam Jafar al-Sadiq (Beirut: Dar al-Mahajja al-Bayda, 2009). Classically, the Sufyani is supposed to come from Wadi al-Yabis, in the northern section of Jordan, very close to Zarqawi’s hometown of al-Zarqa; see Abd Muhammad Hasan, Iqtaraba al-zuhur (Beirut: Dar al-Mahajja al-Bayda, 2006), pp. 125, 133 for this identification, which is quite widespread on the internet too. See my “Abu Musab al-Suri and Abu Musab al-Zarqawi: The Apocalyptic Theorist and the Apocalyptic Practitioner,” in David Marno (ed. ), The Apocalyptic Impulse (forthcoming). Information about the cult of Jamkaran is available at http://www.jamkaran.info/; and further from a historical point of view at http://www.jafariyanews.com/oct2k2/22_jamkran.htm. On his government, see Ayatollah Makarim al-Shirazi, Hukumat asr al-zuhur (Beirut: Dar Jawad al-Aimma, 2009); and Shaykh Kazim al-Misbah, Dawlat al-Imam al-Mahdi wa-asr al-zuhur (Beirut: Dar al-Katib al-Arabi, 2007). See my Studies in Muslim Apocalyptic (Princeton: Darwin Press, 2002), pp. 232-236 for full references. See Muhammad Taqi Akbarnezjad (ed. ), Namha-yi nawjavanan bih Imam-i Zaman (Jamkaran: Masjid-i Muqaddas-i Jamkaran, 1385/2004 ); Namha-yi javanan bih Imam-i Zaman (Jamkaran: Masjid-i Muqaddas-i Jamkaran, 1385/2004 ); Namha-yi dukhtaran bih Imam-i Zaman. (Jamkaran: Masjid-i Muqaddas-i Jamkaran, 1385/2004 ). Shaykh Majid al-Saigh, Shayatin ma qabla zuhur al-Imam al-Mahdi (Beirut: Muassasat al-Balagh, 2009), pp. 146-178. 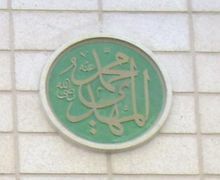 E.g., Al-Sayyid Husayn Hijazi, Istaiddu fa-inna al-zuhur qarib (Beirut: Dar al-Mahajja al-Bayda, 2006), pp. 163-167. Majid Nasir al-Zabidi, Karamat al-wad al-sadiq: tawthiq al-nasr al-ilahi li-l-muqawama al-Islamiyya fi Lubnan (Beirut: Dar al-Mahajja al-Bayda, 2007), pp. 191-192.
 http://www.mideastwire.com/ (from February 1, 2007). I visited Qom during June 2007 and collected a total of 48 books and pamphlets there on the Mahdi and apocalyptic events. I also collected a further 25 books published elsewhere in Iran. See Muhammad Riza Ramadannejad, Inayat-i Imam-i Zaman dar hasht-i sal-i difa-i muqaddas (Qom: Intisharat-i Asr, 2006). One should note, however, that the Iranian nuclear program preceded the election of Ahmadinejad in 2005, and constitutes just one of the elements garnering support for him. Many Iranian secularists and nationalists support Ahmadinejad’s push for the nuclear program while at the same time either fearing or despising his messianic ideals, and there is some evidence that senior ulama feel the same way. This is documented mostly in outlying regions of the Muslim world (West Africa and Indonesia), but also in the Middle East and South Asia. Moreover, one must not forget that al-Mahdi is to have a religious assistant, Isa (Muslim version of Jesus). Isa will help him establish Islam over the entire earth. And there is none of the People of the Book but must believe in him before his death; and on the Day of Judgment he will be a witness against them; – (Surah 4:159).